AMD Radeon HD 7700 series of graphics card is said to be “the world’s most advanced graphics for everyone.” The 7700 series is a great fit for gamers who want the best gaming experience. If you want to keep your display at its tip-top shape, you need to consider getting the graphics card driver updated to the latest version for your operating system. 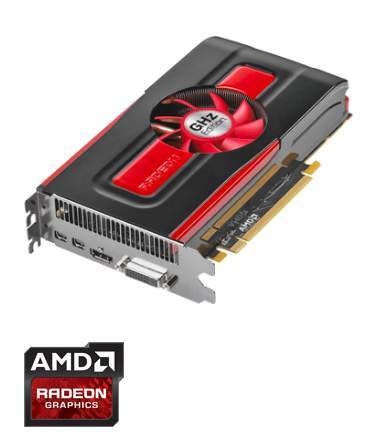 In this post, we will show you three effective ad proven to be working ways to get your AMD Radeon HD 7700 graphics card updated. 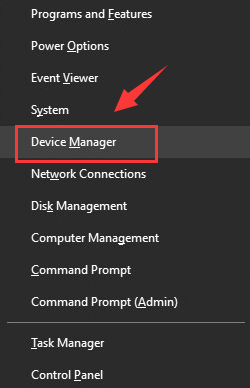 You should always try to update your device drivers via Device Manager since it allows you to get device drivers from the manufacturers of the devices. But there is no guarantee that Windows will help you find the latest version of the device drivers that you need. 2) Locate and expand Display adapters. 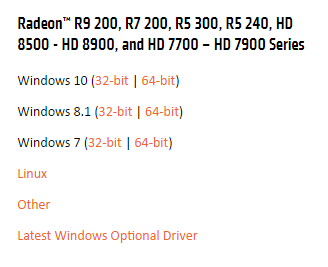 3) Then right click the AMD Radeon HD 7700 display card driver that you have and choose Update Driver Software…. 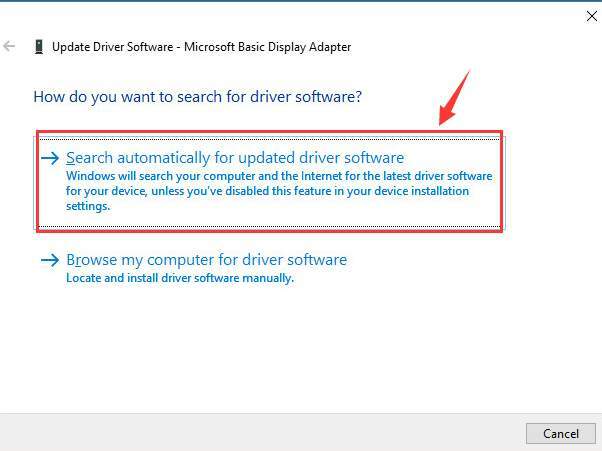 4) Then choose Search automatically for driver software. 5) Then wait for Windows to get the driver for you. If you see the notification: Windows has determined the driver software for your device is up to date. You should consider getting your device updated in some other ways. 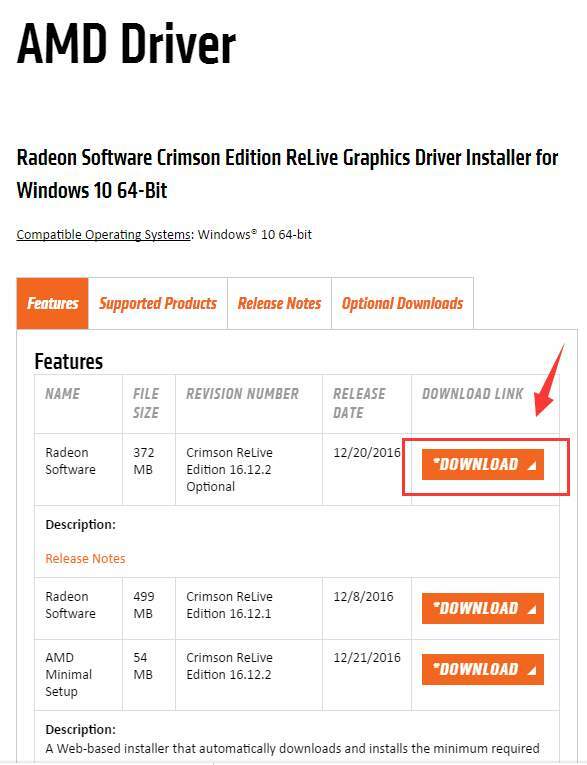 1) Go to AMD support website. Then go to the Download section. Scroll down a little bit to locate HD 7700 Series section. Then choose the operating system that you are with accordingly. We go with Windows 10 (64-bit). 2) Then click the DOWNLOAD button to get the driver downloaded. The download speed will depend on your Internet connection. 4) Locate and expand Display adapters. 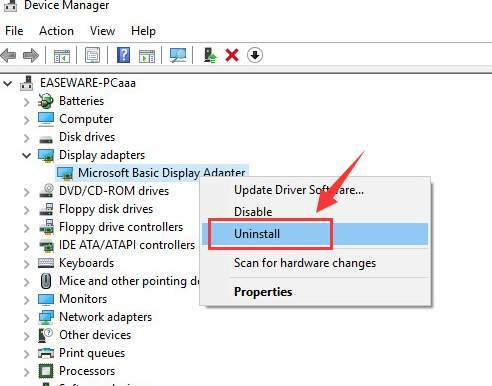 5) Then right click the AMD Radeon HD 7700 display card driver that you have and choose Uninstall. 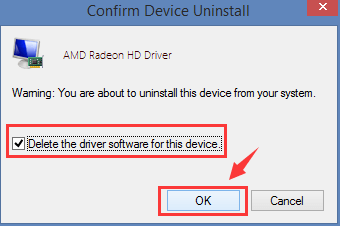 When prompted with notification like the following screen shot, tick the box for Delete the driver software for this device. Then choose OK to continue. 6) Restart your computer if needed. Double click the downloaded setup file, and then run the installation of the latest version of the graphics card driver as instructed. If the above methods are too challenging for you to follow, you might want to consider getting your device drivers updated automatically. 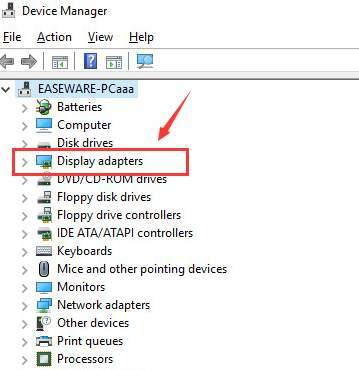 Step one, press the Scan Now button to scan for any needed device drivers. 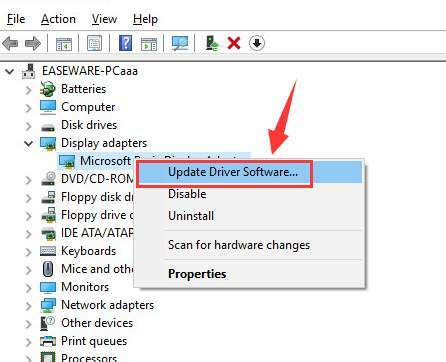 Step two, press the Update button next to the driver that you want to update. That’s it. 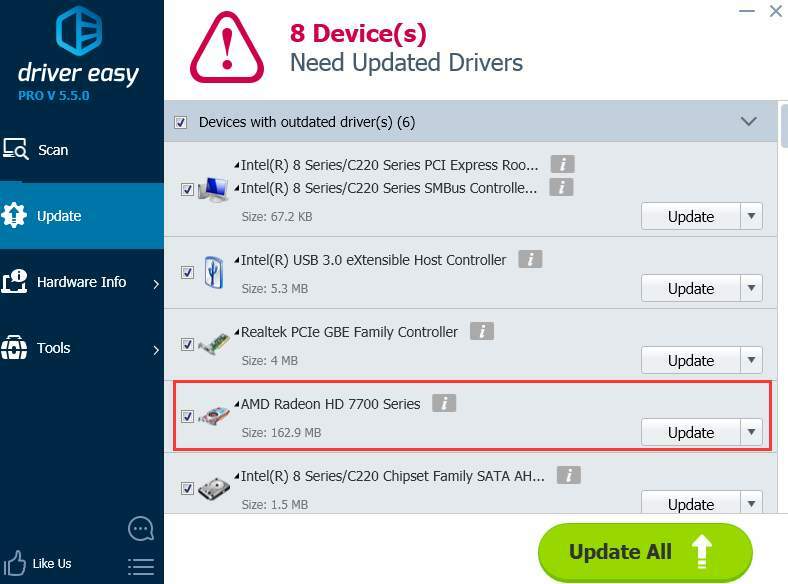 You are now getting your AMD Radeon HD 7700 graphics card driver updated in just two clicks! If you also want to update your other device drivers all at once and tons of other fascinating features, you should have a try at the professional version of Driver Easy. 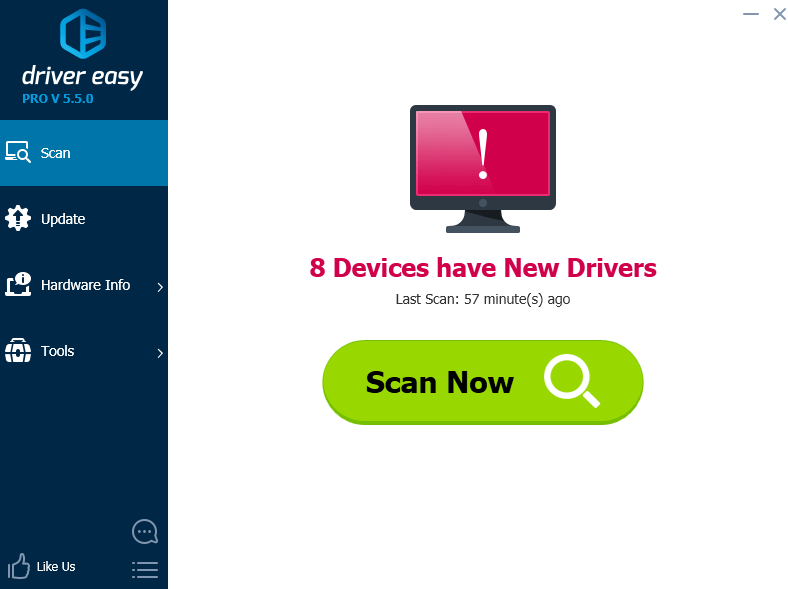 Not only can you update all device drivers in ONE click to save you countless time and energy, you can also get the professional tech support waiting to solve your driver problems. If you are not satisfied with our product, you can always ask for a refund 30 days within the purchase. What are you still waiting for? Come on and have a try now!